Despite the sell off in indices today, there was no wholesale liquidation in the broader market. The neckline of the recent Inv. 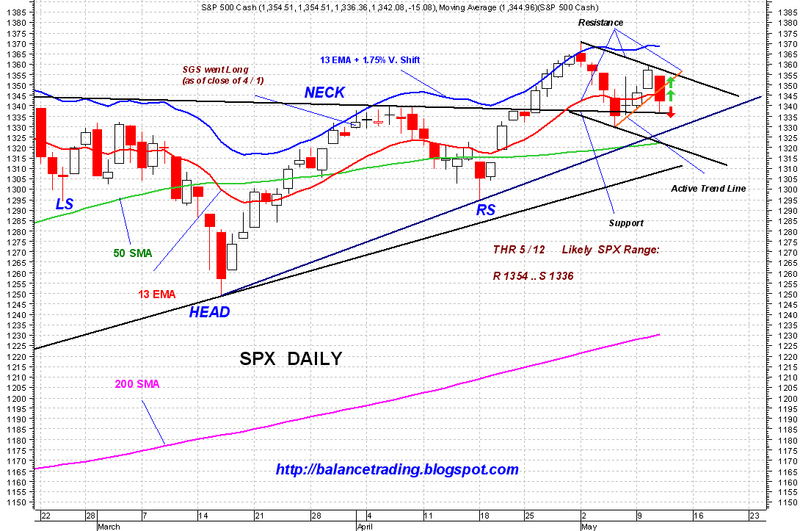 H&S on SPX daily chart held up well as a support at SPX 1336. There is a good chance that support get tested again tomorrow and then Market rallies into the close. 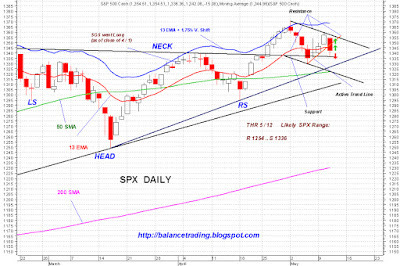 A close below that support is not likely, but it would mean a trip down to lower 1320's to test 50D SMA. The recent sharp sell off in commodities means two things to me: (1) The doom and gloom for our stock market, our currency and economy which is being pushed by those who are in the business of selling fear and hate is nothing but crap. That crap is put out there everyday for idiots to buy and consume. (2) Money coming out of commodities will find its way into equities.